Audi E-tron Running Costs, MPG, Economy, Reliability, Safety | What Car? The E-tron looks pricey compared with the Jaguar I-Pace, let alone non-prestige electric SUVs such as the Kia e-Niro and Hyundai Kona Electric – both of which can take you farther on a fully-charged battery. It is cheaper than the Tesla Model X, though, and it has some of the strongest predicted resale values of any car on sale. It’s the running costs that have the potential to really save you money, of course. 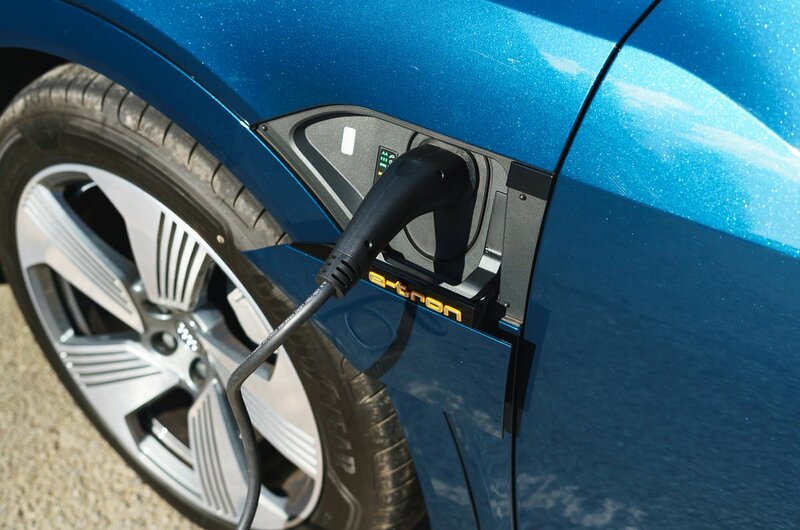 The E-tron will be cheap to charge from the mains, especially if you’re on an Economy 7 night electricity tariff. And, although you’ll have to pay the £310 luxury car tax annually, you won’t pay road tax or the London congestion charge, and company car drivers will incur only a 13% benefit-in-kind tax rate. The list of standard equipment includes heated front seats, leather upholstery, two-zone climate control and an electric tailgate, plus there are charging points on both sides of the car so you never have to drag cables over the top of it. However, given the E-tron’s high price, it’s a little disappointing that adaptive cruise control costs extra unless you upgrade to the even pricier Launch Edition model. Going for the Launch Edition also gets you upgraded leather, privacy glass, a black exterior styling pack, the virtual door mirrors and Matrix LED headlights which are so powerful that they make night look like day. It’s difficult to know how reliable the E-tron will be, given that it has bespoke mechanicals and is too new to have featured in the 2018 What Car? Reliability Survey. However, Audi as a brand finished 20th out of 31; ahead of Tesla, Jaguar and Mercedes, but behind BMW and Lexus. Like conventionally powered Audis, the E-tron comes with a three-year, 60,000-mile warranty, while its battery is covered for eight years or 100,000 miles – whichever comes first. This is in line with Jaguar, but Tesla doesn’t impose any mileage limit on the battery. 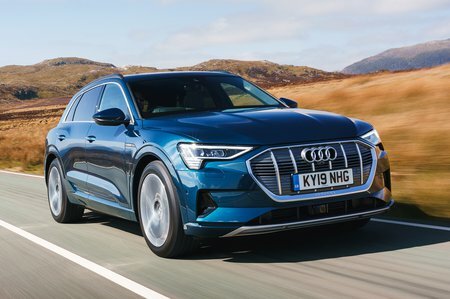 The safety experts at Euro NCAP are yet to crash test the E-tron, but all models get automatic emergency braking and a lane departure warning system. To this, the First Edition adds traffic sign recognition, lane-changing assistance and systems that can stop you pulling into oncoming traffic or move the driver’s seat to the optimum position to minimise whiplash if it looks like you’re going to be rear ended. 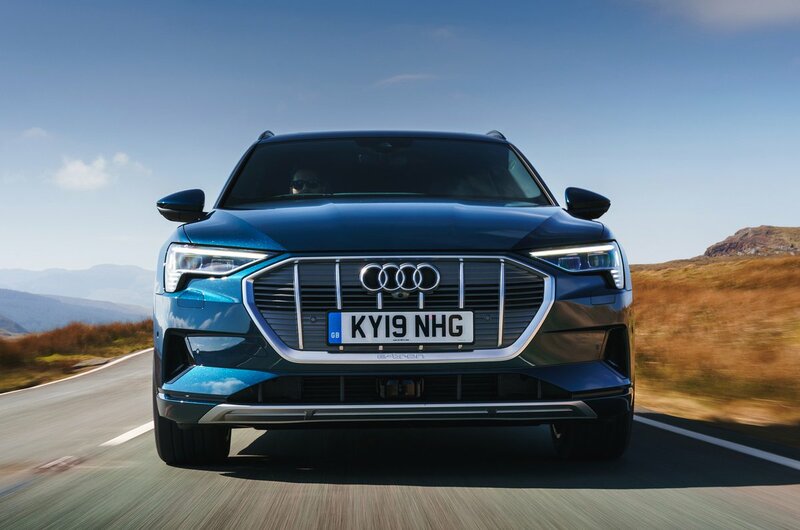 The Audi E-tron doesn’t feel as sporty as its closest rival, the Jaguar I-Pace, and it has a shorter range. However, it’s the classier of the two inside and refinement is sensational.